Corruption makes things easier by bypassing lengthier processes. Bribes allow an unfavorable authority to be converted into a more pleasing one. Most people dislike being in the wrong. Fighting corruption is inconvenient at best and can be downright dangerous as stakes get higher. Everything from character assassinations to actual assassinations can become possible in retaliation. There is little motivation for a person to get himself into added work or actual trouble because of what “should” be. I think that till these fundamental blocks can be addressed, the number of people making an effort against corruption (as opposed to verbally supporting anti-corruption) will always remain low. There is too much deterrent and too little motivation. In my observation, going against the tide happens for three main reasons – fun, profit and survival. Whether the going against tide is breaking laws, or preventing them from being broken. This is important. This includes the thrill of power – of beating odds, of being hero, whatever. It is a psychological high. Be it giving bribes or selling National property cheap, profit is another big motivator. Everyone needs money, whether they need it or not. People under threat will do anything to destroy the threat. This is less related with corruption and more in the zone of terrorism, security, and such. In a few cases, could be assosicated with going bankrupt, for example, but rare. To combat corruption, the first two levels must be leveraged effectively to create strong motivation and overcome reluctance. Some ways I see this easily possible are through media and government policies. A programme that solicits sting videos from the public. Hidden camera footage of bribes, etc. With short commentary of the whole story, and following the count down pattern.. “and this weeks number one sting is the shocking expose of … blah blah” Newspapers can do similar stuff with whistle blowing information that leads to arrest, for example. A weekly column of some or the other wrong set right because of a citizen hero. These are just ideas – our media is far better than my limited imagination at creating sensational news 😉 And it is a win win. 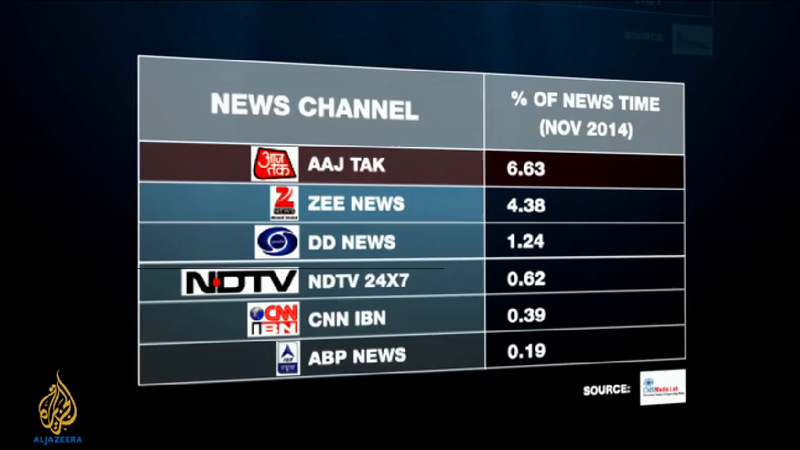 The bad guy being brought down by the common man is never going to go out of TRPs. This kind of heroism associated with truth seeking will go a long way to prevent social discrimination against truth seekers for rocking boats, will encourage more people to become heroes when they realize that people respect these actions. And the reluctance to be the bad guy by challenging wrong doing (which is a sorry truth) will be replaced or at least diminished by knowing that their action will be valued. Investigating corruption isn’t an initiative as is being pimped so loudly. Investigating corruption is enforcing the country’s laws. We need initiatives that encourage fighting corruption. Awards on a National, state, regional level is one possibility, but sadly, there will be fears of corruption in their allocation. We are in an extremely insecure or rather paranoid phase about corruption. But what can easily be done NOW is to provide a percentage of the money saved or the estimated value of whatever crime is prevented as a direct and confidential deposit into the bank account of the whistle blower. EVERY revealing of wrongdoing/breaking of law should be considered as whistle blowing – without exemption. We also need to consider setting aside a budget for witness protection programmes for people who are in danger as a result of their service to the country. The whistle blower’s bill passed in the Lok Sabha yesterday, so that is a good move too. This needs to be done in addition – an amendment might be good. When corruption comes under attack, all the processes it smoothens for people will become sores, and proper solutions can be created for them where legitimate. Yeah, that is it. If fighting corruption will lead to fun and profit, like corruption leads to fun and profit, then the ground is level for the challenge and the desire for a better world will empower change rather than frustrated talk. whenever someone has the power to exercise undue discretion on behalf of the masses, someone among the masses will not like it and will find ways of subverting this convoluted decision making by the “elites” … that motivation is the “demand” factor of corruption. the “supply” factor is the convoluted laws. those “elite dinosaurs” are – planning commission, PDS, IAS officers, Income Tax officers, UGC, finance ministry, heavy industries ministry, various ministries related to infrastructure development and many many octupusian arms of the Indian state. the masses are us. for any economic decision (which can be called a transaction) there are two parties with conflicting objectives. the buyer has his own need, desire and capability of payment for the goods/services he is buying and wants the maximum advantage for himself. the seller also has his own need, desire and capability of charging for the goods/services he is selling and wants the maximum advantage for himself which invariably is at conflict with those of the seller. the transaction will happen only at a mutually agreed price which both parties will judge to be the best compromise given the time/information asymmetry and immediacy of the need. and in the economy there is not one buyer and seller but everybody is a buyer of something and seller of some other thing. the central problem is finding out the price at which the transaction should happen. 1. by a third party which dictates the price and is non negotiable after it is declared. usually this third party is some way or other related to the state. this first option goes by various names depending on how rigorously it is implemented … communism and socialism are the most common names. 2. by trial/error/guess/estimate/luck/innovative-pricing/etc exercised by one or both of the interested parties. in this case the price is not fixed. may change from time to time and transaction to transaction. there is a relentless dynamic optimization at work given the constraints of asymmetric information and paucity of time. the second option goes by the much derided name of “market economy” or “capitalism”. and contrary to the pop opinion of left lunatics, capitalism is meant not to increase power of “capitalists” but to curtail their power and everybody else’s too. so what is the role of the govt in option 2 ? zero ? NO ! absolutely no. the role of the govt is try to remove the information asymmetry that naturally exists between the buyer and seller. and also to gently nudge the transaction towards some other transaction that may be more desirable for whatever reasons (for example gas based power may be more desirable than coal based power). the gentle nudges can be exercised in the form of differential taxation for example. banning or forcing the sale of anything is not gentle nudge and should be exercised with extreme caution.